EMS Equipment Inc. - Roller Conveyors, Cross Transfers, Measuring Devices, Beam & Column Rotators — JPS International Inc.
JPS International Inc. represents EMS Equipment Inc., the worlds leading manufacturer of roller conveyors. 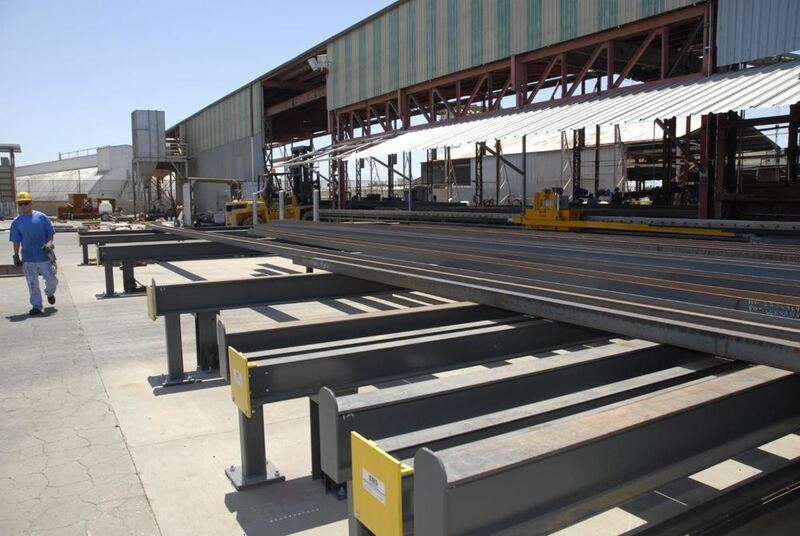 cross transfers, measuring devices, beam and column rotators for the structural steel fabrication industry and steel service centers. EMS Equipment Inc. provides turn-key material handling systems as well as modular components for their modular designed material handling system. Built with excellence and rigidity in mind, EMS Equipment Inc. builds the heaviest and most affordable material handling system on the world market today. This modular designed material handling system gives the customer the flexibility to set the system up in many configurations with the look of a custom designed material handling system at a fraction of the cost of other manufacturers. Modular designed roller conveyors - Available in 5’ & 10’ sections (other length also available upon special request) with pass line height according to the customers requirements, these sections are available in 500 lbs/ft and also 1000lbs/ft capacity. Rollers are spaced as close as 12 1/2” on centers. FRANKLIN CNC DRILL LINES & many more!